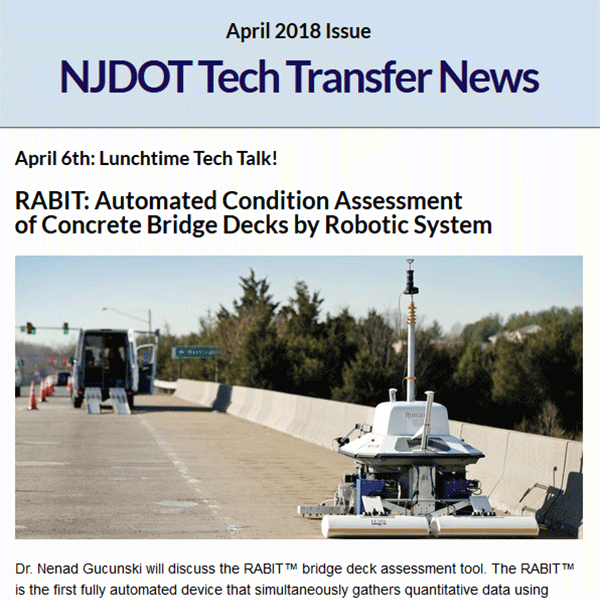 NJDOT Tech Transfer News is published periodically via an email newsletter. 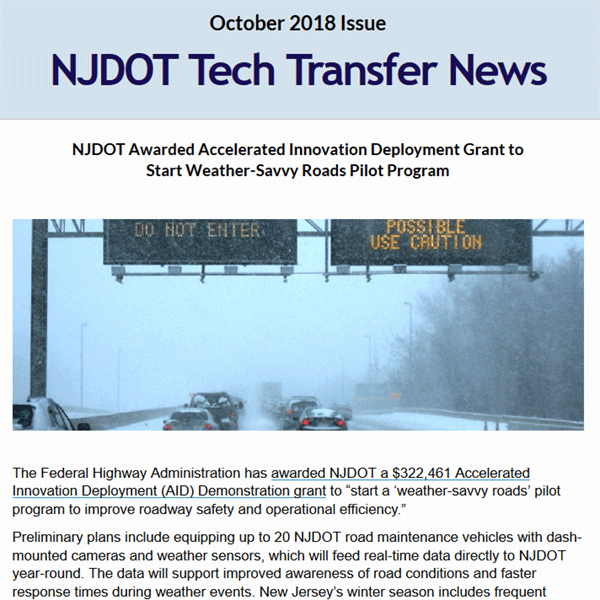 The newsletter, an initiative of the NJDOT Technology Transfer (T2) Program, seeks to showcase innovation, highlight the latest state-of-the-art trends and technology practices, and disseminate transportation research results. The newsletter should be of interest to those who are focused on the current needs and 21st century challenges that New Jersey faces in managing its transportation infrastructure and improving the safety, mobility, and accessibility of its residents, workers, visitors, and businesses. Subscribe now to receive the NJDOT Tech Transfer News to keep up to date with what’s going on.